The paradox of naming his debut EP Insular is that Espher’s music deals in the sort of wholly encompassing love that couldn’t survive without an intended recipient. There’s no caution within its eleven minutes, no place to hide from the blinding light of its heart-ripped-open tumult; but Insular is apt as a title too, for the Manchester-based producer both starts and ends in a place of isolation, the swell of emotion that rises from its folds ultimately leaving him alone again. “It’s an EP about the transformative effect falling in love has on every aspect of life, positive and negative,” Espher explains. “It’s about the battle between logic and your heart.” Battle is the right word. From its opening, the spatial techno of To The Sky plunders deep into the heart of the matter, lovers “born again, together in the sky” even as the tumbling momentum downwards suggests an underlying turbulence below this ecstatic passion. It’s a tremor that never leaves, the delicate piano that opens ‘When Me And You Collide’ ripped apart by the weight of Espher’s sombre promise that “I’ll destroy the world for you”, before eventually that destruction goes too far, the bond breaking amidst the harsh, cloying abrasions of ‘Still’. The cycle is complete; love found, hoisted to the highest pedestal before dropping off the other side. 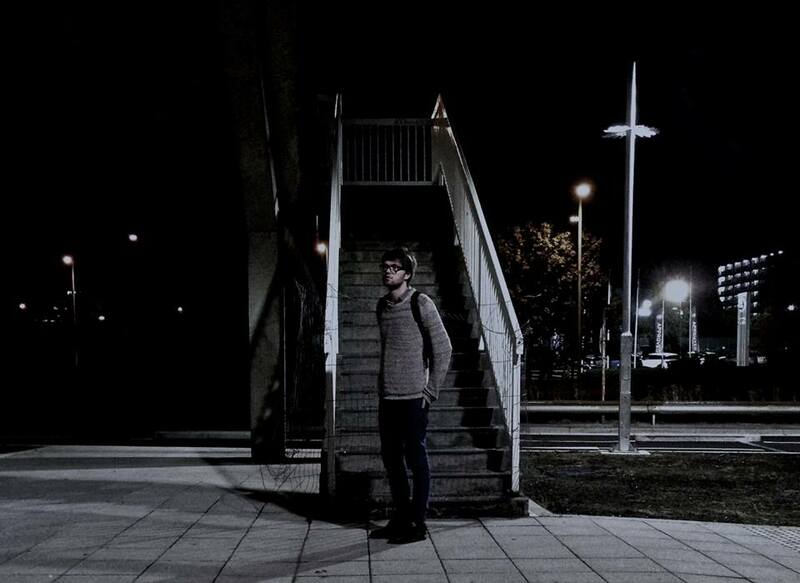 Developing his music in Manchester, Espher moved away from early explorations into techno and house after witnessing a live performance of Anticon producer and artist Baths, taken aback by the dominance of the human spirit over the mechanical processes that attempted to hold him on stage. It was around about this time he met friend and continual collaborator, Moses Gold, who, like him, strives to invoke a beating heart as opposed a binary pulse into his digital constructions; and shortly after the name Espher developed. A moniker which – he admits – “by itself means nothing,” it’s this de-tagging that allows the producer to work beyond preconceptions, allowing him to instil whatever meaning he wishes on it without it ever sticking. So it is that the anguish felt on Insular is never without hope, because this stirring catharsis could lead to any one of a number of new dawns.